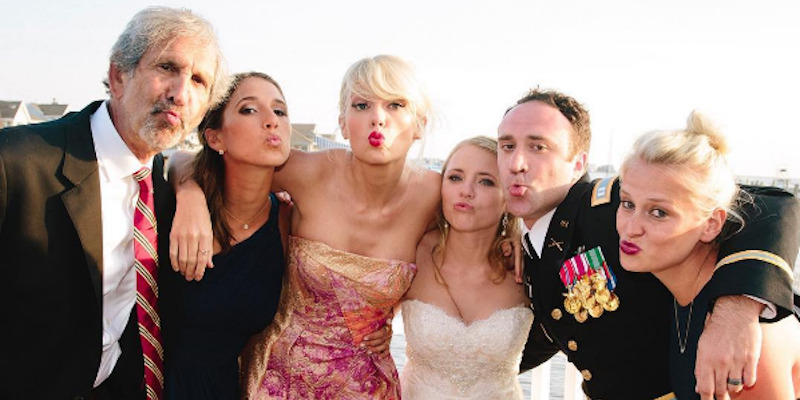 Taylor Swift/InstagramTaylor Swift crashed a wedding in New Jersey. Figuring out who to invite to your wedding is an incredibly difficult task, and not everyone can make the cut. However, it seems most people might make an exception for Taylor Swift. Swift recently stopped by a wedding in Brant Beach, New Jersey, and surprised some very lucky fans. The wedding in question was that of Max Singer and Kenya Smith, and the story behind why Swift was there is truly moving. According to PEOPLE, Singer’s sister Ali reached out to Swift. Her and her brother’s mother had recently passed away, and the couple originally wed in the hospital so that she wouldn’t miss the big day. Max and his late mother even danced to Swift’s “Blank Space” during the impromptu ceremony before she passed.